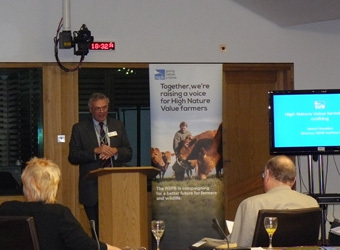 Rob Gibson, MSP for Caithness, Sutherland and Ross and Convenor of the Rural Affairs, Climate Change and the Environment Committee, hosted a VFA farming event at Scottish Parliament, Edinburgh with RSPB Scotland and the Highlands and Islands Agriculture Steering Group to highlight the concerns for Scotland’s most vulnerable farming areas to MSPs and key stakeholders. Rob started the event with some thought provoking quotes from E F Schumacher. Douglas Irvine from Shetland Isles, summarised the economic and social challenges in the agricultural sector for the Highlands and Islands (mainly sheep & cattle farming systems). 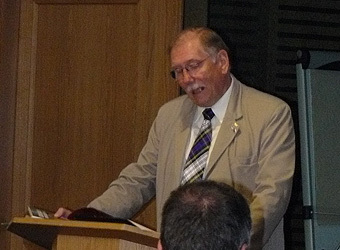 Douglas made a case to the Scottish Government, UK & EU for a more equitable system of support in Scotland and to improve the levels of support for those in the VFA, to reverse some of the trends happening now, such as whole scale abandonment of land, loss of full time agricultural workers (32% decline between 1990-2010) and livestock decline from these areas (since 2005 – 23% fall in breeding sheep/ 9% decline in breeding cattle). 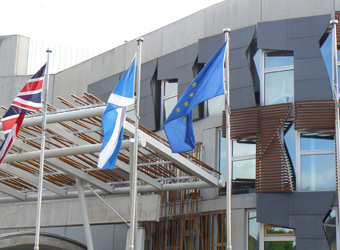 There was a call for Scotland to receive an increase in share of EU Rural Development funds, and that the Scottish Rural Development Programme (SRDP) 2014-2020 should set objective targets to support agriculture in these Vulnerable Farming Areas. 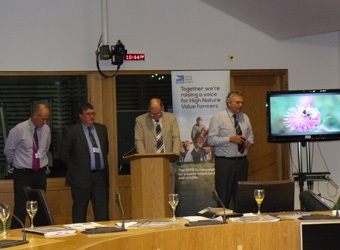 Stuart Housden, Director of RSPB Scotland, continued to highlight how important HNV farming systems are for biodiversity and wider ecosystem services for society but that these are currently unrewarded by the markets. 40% of Scotland’s Utilisable Agricultural Area (UAA) is HNV farming, with reference made to HNV farmer Andrew Elliott at Balnakeil and the importance of the machair on the Outer Hebrides for species such as corncrake, corn bunting and Greater yellow bumblesbee. Maps were shown indicating the disparity of distribution of support (Single Farm Payment & Rural Priorities) across Scotland, favouring the east of the country. The importance of maintaining activity – allsorts of benefits depend on farming/crofting activity being maintained. Pillar I support is important but difficult to attach conditionality that is not blunt e.g. minimum stocking density requirements which could be too high/too low depending on the site. Broad agreement that proposal to exempt farmers/crofters receiving less than €5,000 from activity would be unhelpful and send wrong signals. Abandonment must be avoided – need to ensure a managed landscape with an infrastructure of farmers in place which ensures activity, skills and knowledge are retained. Greater effort required to help young farmers and new entrants. Need to ensure viable farming businesses/crofting – greater investment required in Pillar II measures which enable targeting to achieve desired outcomes. Advice needs to be built into packages of support. 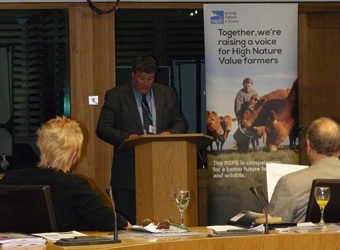 Next SRDP needs clear objectives – and these must include support for Vulnerable/High Nature Value farming areas.